The Centrepoint shopping complex is on my way back to Hotel everyday during my business travel to Singapore, normally I will stop by the food court to hunt for my dinner. 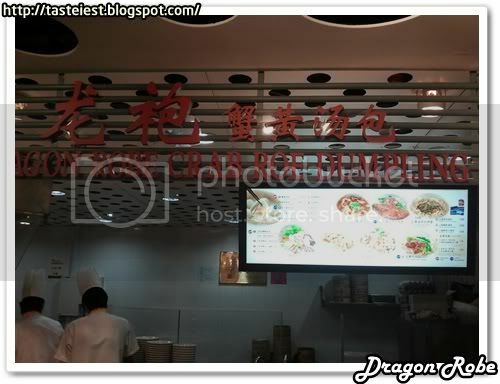 Today selection is Dragon Robe, choose their signature dish Shanghai Braised Pork Rib Noodle SGD4.50. 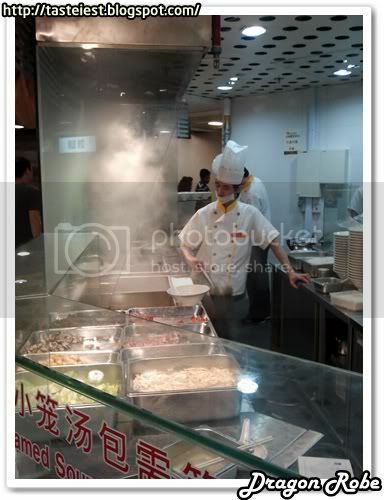 Another signature dish is Xiao Long Pao, Small Dumpling but I did not try it. Open kitchen showing the chef preparing my food. 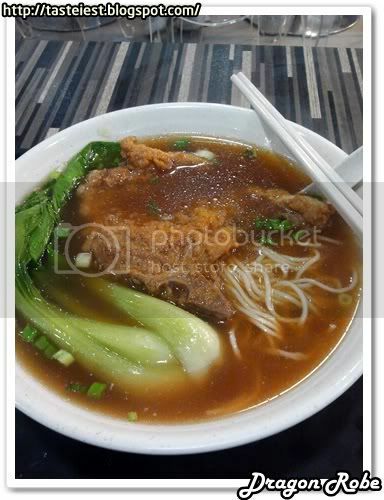 Shanghai Braised Pork Rib Noodle SGD4.50, deep fried pork meat with soup noodle, the deep fried pork meat is pretty oily and they should deep it inside the soup as the deep fried pork meat absorbing the soup and make it not crispy anymore. The soup is rather plain and overall taste just normal but too oily. I am looking ahead for your subsequent submit, I’ll attempt to get the hold of it!